Following a well-received debut album in 2009, the Parisian group Clownage toured extensively, gracing hundreds of stages throughout France, including such prestigious venues in Paris such as l’Alhambra and Le Trabendo, with its moody, progressive indie rock. Meanwhile, their tracks were being played on major FM radio stations such as Oui FM and Radio Neo. 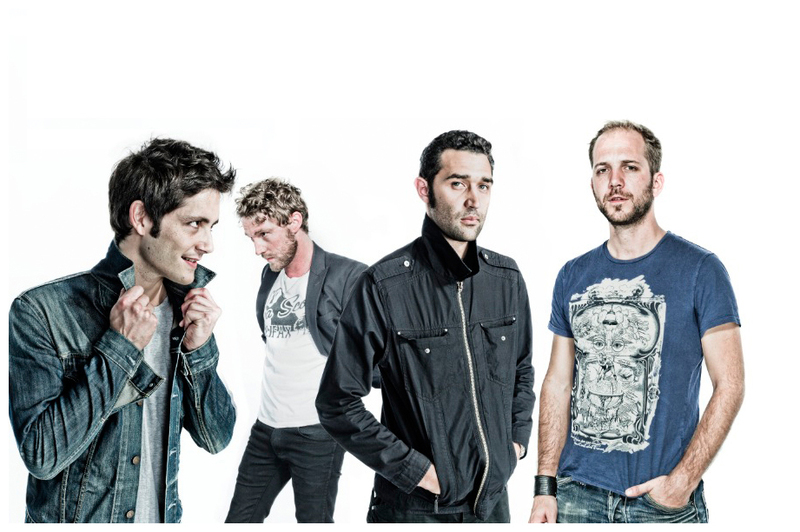 In 2010, with the arrival of guitarist Louis Teran, the band changed creative direction, assuming a new identity inspired more overtly by modern American alternative rock. It was time for something harder, faster and louder, something that recalled the dilapidated grandeur of grunge while delivering the sonic impact of more recent recordings. In 2012 the band hit the studio to record Trails, a second full-length album produced in collaboration with Mike Major (At the Drive-In) and Charles de Schutter (Superbus, Pleymo). Staying true to its influences, the album would be exclusively in English and composed of 11 subtle, powerful and magnetic tracks. 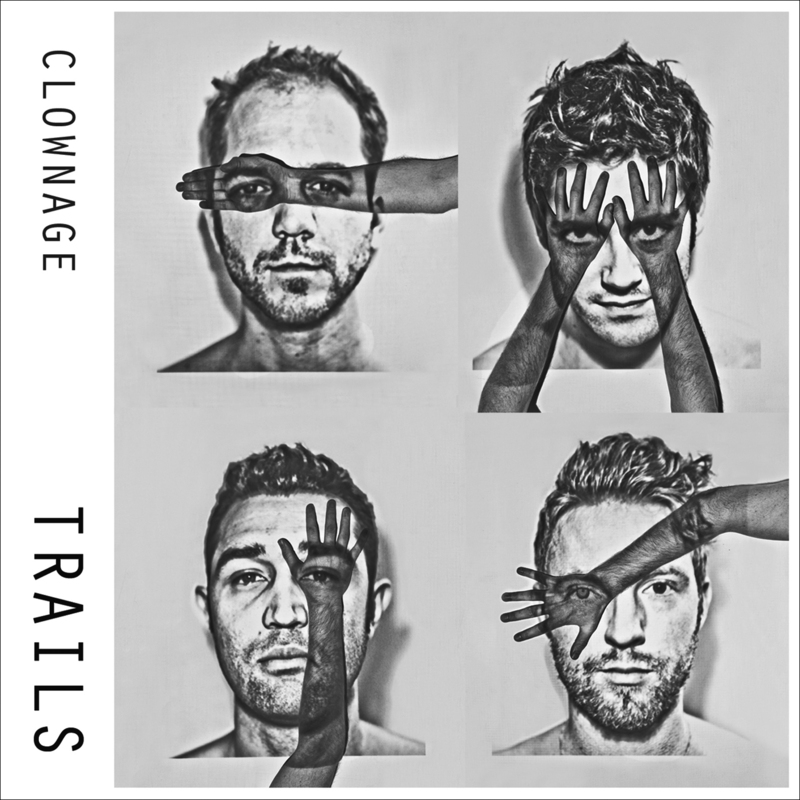 The album opener – « Trail » – gets straight to the point, revealing the true identity of Clownage and setting the tone for the rest of the album: punchy, agitated melodiousness. Tracks such as « The Game » evoke the American influence coming from bands such as the Foo Fighters – an influence found also in the high-energy « Apo » and its chanting chorus. Inspired equally by The Smashing Pumpkins, the foursome then reveal a more melancholic, poetic side with « Soma ». We then hear a parenthetical departure with « Tyson », the most stand-alone title on the album, which evokes the sulfurous grooves of Beck’s early albums. Trails then moves through audacious territory with tracks such as the high-impact stoner piece « I Am », and the Mars Volta-meets-Faith No More movement « Queen », and closes with the improvised « Candles in the Berry ». Trails is officially released the 29th April, 2013, on the young Paris label WheelNoise Production. Distribution via Codaex / Believe Digital.